What an amazing honor to participate this week . . . honoring women . . . honoring survivors . . . as I was searching for "pink" photos in my files, I was thinking who do I know personally who has(or had) breast cancer . . . I can say that I have only met 1 women in my life with breast cancer (my SIL's mom). She is a survivor, she was in remission for 10 years and presently is battling stage 4 breast cancer. Her son died 6 months ago of brain cancer and her husband died 10 months ago of lung cancer. My own family has many, many deaths due to lung cancer. I certainly hope in my lifetime that I see a cure for this heartbreaking disease. Meanwhile, you would think that with two little girls in my house that I could locate about 200 "pink" photos. That simply was not the case . . . but I think this one of baby girl will do. 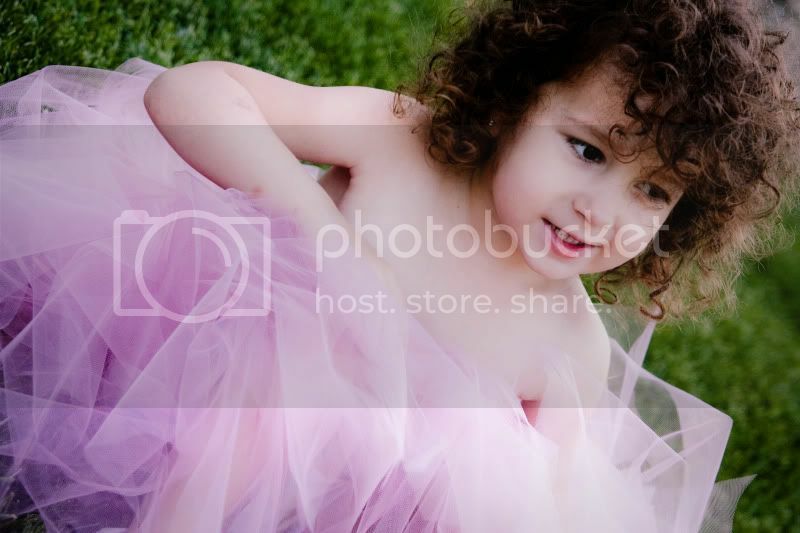 In her pink pastel tutu that I made for her. Look at her lips . . . I wish my lips were as red as hers!